Aerobatic Brewing Company is young and ready to thrive in an already flourishing craft beer community. In this concept brewery the owner is a retired pilot. 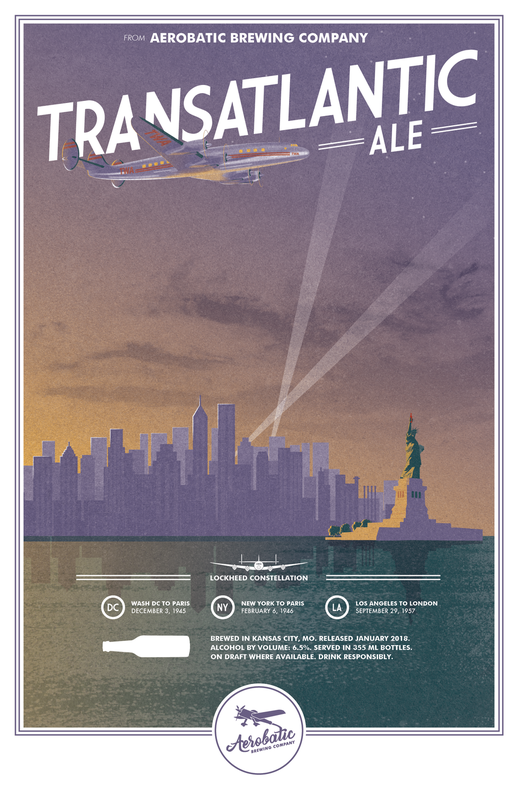 The company features their flagship beer, Transatlantic Ale, which celebrates the record breaking flights of the Lockheed Constellation. Featured in the branding campaign is the visual identity using custom lettering, packaging, poster design, and social media presence. The poster is an 11"x17" digital print, designed using 4 colors. Separations and halftones have been executed and the poster is ready for screen print.